As a Christmas treat, the fresh TRP Bloggers were taken on a tour of the Theatre Royal Plymouth’s Production and Learning Centre, TR2. 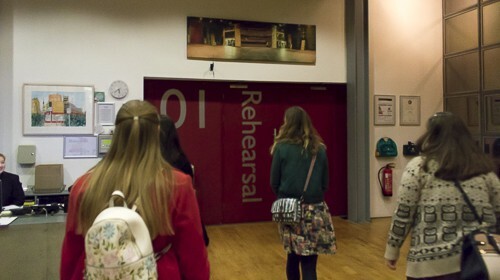 With a wander through the rehearsal spaces and a sneaky look around the costume and scenery workshops, it was a fantastic way to experience what happens in this bustling creative hub. Arriving at TR2 you’d be forgiven for thinking that you’ve gotten lost in the maze of the industrial estate surrounding it, but as you approach the entrance the steely grey exterior gives way to reveal the venue’s waterside location and award-winning architecture. The space inside immediately showcases the intersection of creativity and industry that TR2 embodies, with a blend of theatrical warmth and industrial design. This building is exceptionally unique, not only in its design but also in its function. The ground-breaking approach to the building’s construction and layout is centered on TR2’s purpose as a single location for rehearsals, artistic development, costume design, scenery construction & prop making. With such a wide remit, the spaces here achieve the perfect balance between flexibility and practicality. There are three “pods” extending from the main building, each of which forms a rehearsal room. 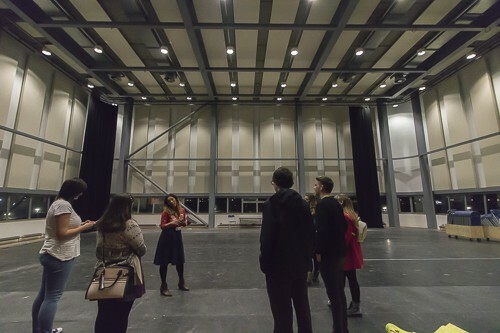 Not only are these spaces completely customisable to suit a myriad of uses, from standard rehearsal rooms for productions to temporary nightclubs or even creches, they are also the same size as the Theatre Royal Plymouth’s three performance stages – The Lyric, The Drum and The Lab. This perfectly proportioned space allows for performers to prepare in the best way possible before treading the boards on opening night. 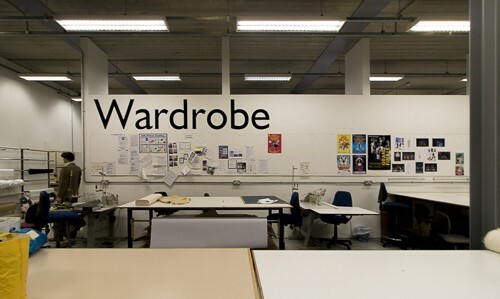 After taking in the adaptable rehearsal spaces, TRP’s Young People’s Officer Dani Golding took us through to the creative workshops, starting first in the wardrobe department. Lining the walls were sketches, concept art and research photos for the team’s current projects. Working with the art direction of the shows, these inspirations will be combined with the department’s skills and expertise to create the phenomenal costumes that will bring characters to life in upcoming productions. Not only do the clothes need to fit the performers, but these outfits are frequently put through their paces during quick changes in the wings, as well as in dazzling dances and breathtaking acrobatics on the stage. Practicality and high standards of craftsmanship are essential for this, whilst also needing to help portray key components of each character in an accurate way. 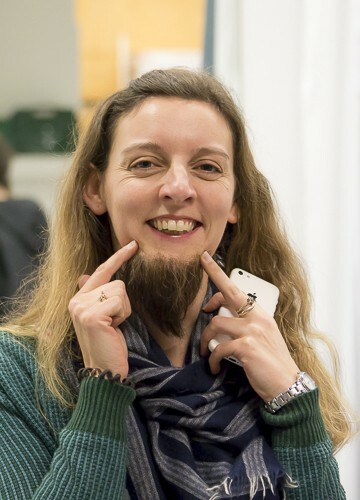 Add onto this the constraints of time and budget, and the wardrobe team really do have their work cut out! The costume stores are part of TR2’s solution to meeting the demands of clothing each and every performer in a show. Over the years, the theatre has amassed thousands of articles of clothing, countless pairs of shoes, and dozens and dozens of hair pieces. With the right creative application, items from past costumes can be repurposed and combined in new ways to achieve the right look without running over on time or money. 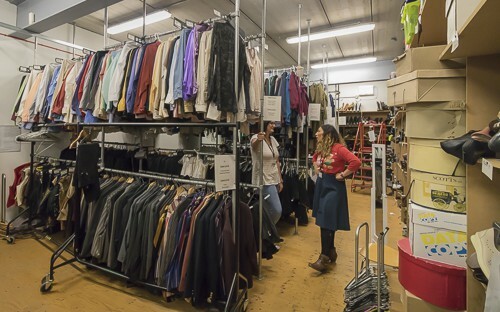 Having this resource on the same site as the rehearsing performers means that alterations and other costuming decisions can be made in a fraction of the time when compared to other venues. Naturally, we couldn’t walk through this bazaar of clothing without trying something on – and maybe getting carried away! Being able to experience the professional standard of the costumes in a hands-on way allowed us to truly appreciate the level of detail that goes into each and every production that TR2 is involved in. What’s more, having these resources available to the young people and grass roots performers that begin their own theatrical journey though schemes such as the Young Company, Our Space, and People’s Company means that hard work not only educates but also inspires the performers of the future. Stepping through from wardrobe, we are taken through to the Assembly & Paint area – a vast space with the feeling of an aircraft hangar. Such space is a necessity for the sheer quantity and size of the backdrops and sets that are designed, produced and assembled here before heading out through the loading dock onto the lorries, taking it all to theatres around the world. This has been the birthplace of some of the most iconic scenery in recent years, from Shrek the Musical to Mary Poppins, and more. Alongside the main assembly area are the woodwork and metalwork shops, home to yet more talent that straddles both ingenuity and practicality. The level of craftsmanship and attention to detail is what ensures every piece of scenery in every stage revolve is up to scratch for the duration of an entire tour, enduring hundreds of performances. 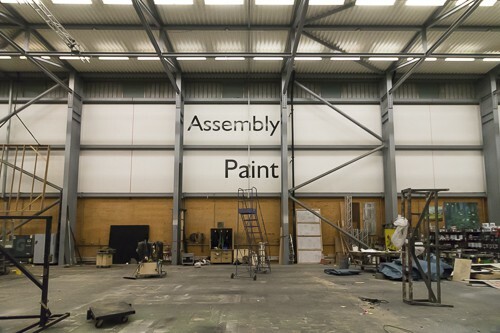 The precision built pieces leave these workshops to be assembled in the main area, with exceptionally talented scenic artists putting the finishing touches to them. It’s this scenery that creates the world that we theatregoers are taken to, where the magic of the performance takes place. 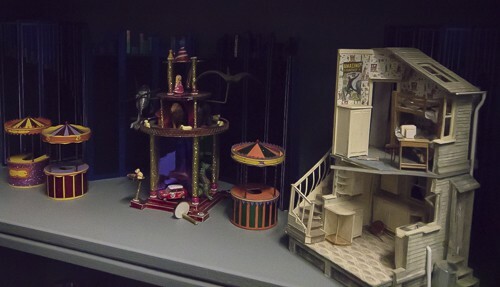 But long before the sets are built on such a grand scale, they start life in a much more manageable size – albeit just as intricately detailed. Our guide Dani took us upstairs to show us the design offices, the place where every aspect of a set is created in a scale model that is quite simply breathtaking. Imagine the most complex and realistic doll’s house, and you’d be somewhere near the level of detail that goes into these models. So, once a production is ready to get underway its entire creation story can take place at TR2. A show can start with the first casting auditions taking place in Rehearsal Room 02, before the set takes shape in model form upstairs prior to being built in the workshops. Meanwhile the wardrobe team can make the costumes for the performers practising in Rehearsal Room 01, ahead of the finished set being pushed through to Rehearsal Room 03 for a full technical run through, after which the whole lot gets shipped out to theatres around the world where we get to experience the final show in all its glory. All of this produced under one roof? Quite simply, TR2 is a factory of dreams. And when you consider the unassuming exterior on arrival, it only adds to the magical way that theatrical productions require such hard work and expertise behind the scenes to bring a show to life. Just like a performance, TR2 is much more than what you see on the surface.